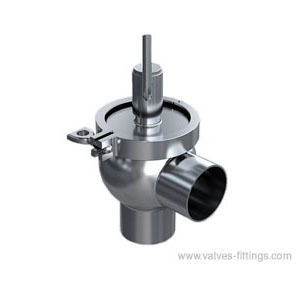 AV-6 series regulating valve is widely used in sanitary fluid pipeline system to regulate pressure and flow. Plug and seal: EPDM, or others upon request. Valve body and valve stem with stopper are made of stainless steel AISI 304 or acid-resistant stainless steel AISI 316L. Valve body OD sand polished, valve stem is strengthened by enhanced chromium plating. Gasket and lip seal use EPDM material with high thermo-stability.